Get $200 of Mor Furniture for ONLY $49! Want a great offer of 75% off Mor Furniture? With this deal from Spotted Fox you get $200 of Mor Furniture for ONLY $49. That’s an amazing deal at over 75% off! Mor Furniture is one of our favorite furniture stores. 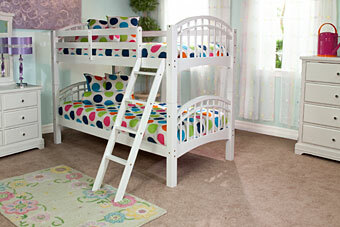 We recently got a fabulous deal on bunk beds there – but I wish I had waited for this deal! The furniture we got was really great quality, it was delivered the same day, and we got a good price. Mor Furniture has 26 showrooms across the Western United States in California, Oregon and Washington. They have a huge selection of furniture from bedroom sets, to living rooms, and they have a great kids room section too. One of the things that we really like about Mor Furniture Bakersfield is that it is really easy place to shop with the kids. The showrooms have free popcorn, cookies, soft drinks and video games. Our kids actually enjoy going there – what other furniture store can you say that about? In our experience the sales people are good too. Helpful but not pushy. They will get you the information that you need but then leave you alone so that you can browse around the store and make the right choice. Really tempted to get this deal as it is so rare that you see discounts like this for such a great store. Get your voucher for $49 from Mor Furniture for Less Offer. Go shopping at any Mor Furniture store, any time in the next 6 months. Choose anything you want from the store and present your voucher. You will get a $200 reduction on your invoice when you give them your voucher. This is a very limited offer so grab it while it’s still on! See other great deals at the Spotted Fox site. Snow White & the Seven Dwarfs Blu-ray/DVD combo for only $10!